Ham isn't the only thing found in Smithfield, Virginia. New homes can also be spotted in this charming Southern town. Located along the Pagan River in Isle of Wight County, the origins of Smithfield date back to 1634. Today, visitors and locals alike can explore the region's history. This little slice of old-fashioned Americana is like comfort food for weary spirits. The people are welcoming to one another and newcomers as well. Large cities in Hampton Roads are just minutes away, as is the free Jamestown-Scotland Ferry. It doesn't get much better than life in this region of the Commonwealth. Originally incorporated in 1752, Smithfield is one of the older towns in Hampton Roads. The history in this “Ham Capital of the World” runs deep. Native Americans called this part of Virginia Warascoyak, which translated means “point of land.” Arthur Smith IV was instrumental in establishing Smithfield as an official town in the mid-1700s and much of the early economy revolved around the river. Today, tourists can visit historical sites to gain a better perspective of the past. St. Luke's Church is a sight to behold. This house of worship is the only example of period Gothic architecture left in our country. There are museums, forts, parks, historic homes, statues and more to enjoy in this rural setting. Finding new homes in an older town can sometimes be challenging but not in Smithfield. Here, builders have brought in the new to counterbalance the old, and the combination comes together beautifully. New single-family houses may be available in Wellington Estates, Lawnes Point on the James and Cypress Creek. Wellington Estates provides owners with walking trails, gazebos and fields for sports like soccer and baseball. Buyers considering building new homes can buy lots in Aberdeen Shores and Cypress Creek. Larger parcels of land may be available outside subdivided areas for those who want more space. If this Virginia oasis sounds like it could be the place for you and your family to plant roots, the first step in finding a permanent home is getting professional help. While the population is small, the area does cover quite a bit of terrain. Our real estate agents can really help out when it comes to legwork. Let them know what you want and they can deliver. Even if building seems like the best avenue, our agents can help find the right piece of land and negotiate with a reputable, local builder to get you the best deal possible. 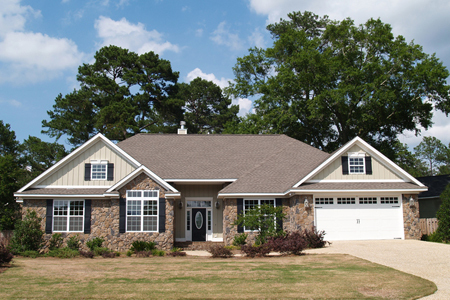 We help people buy new homes all the time in Smithfield, Virginia.